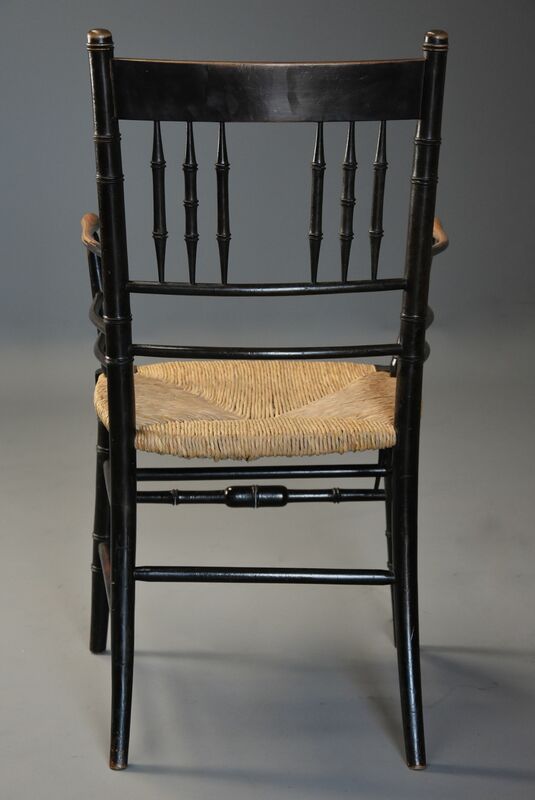 Late 19th century ebonised Sussex armchair attributed to Morris & Co. 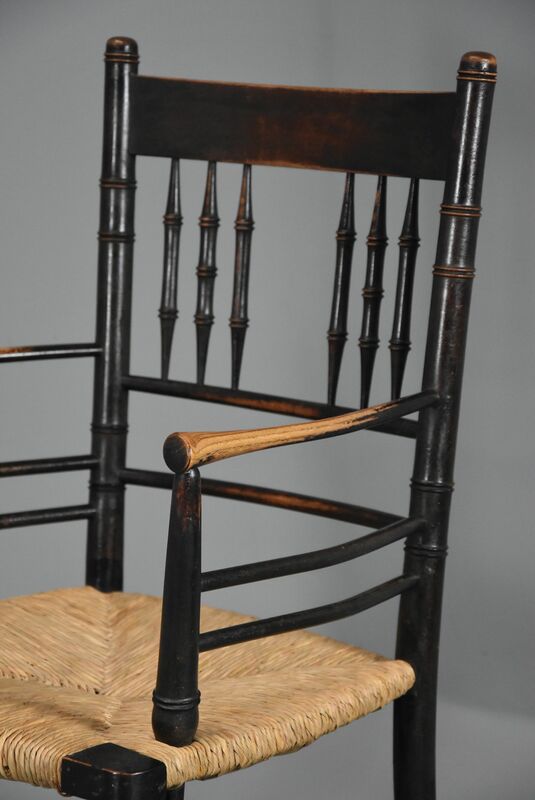 This armchair consists of a shaped top rail with six turned spindles of unusual configuration with turned uprights. 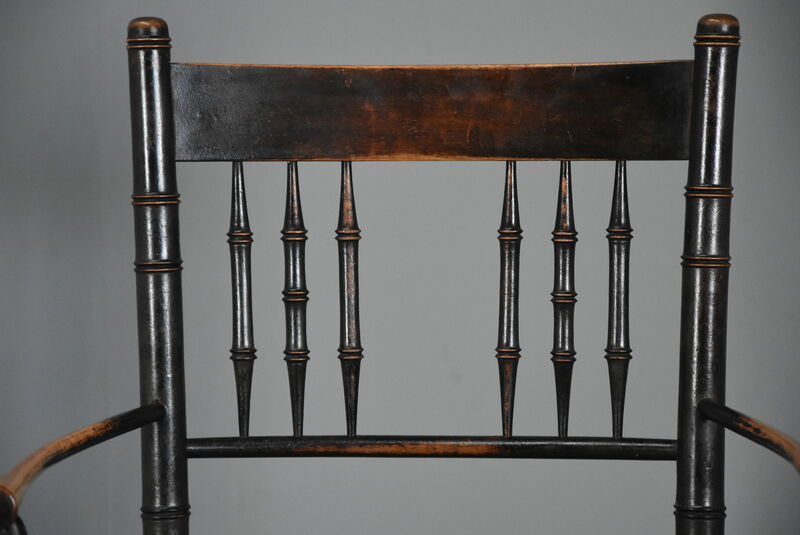 The turned arms and arm supports are fixed through the seat rail, this being an unusual design only found on the Sussex chair, leading down to a rush seat in very good condition. 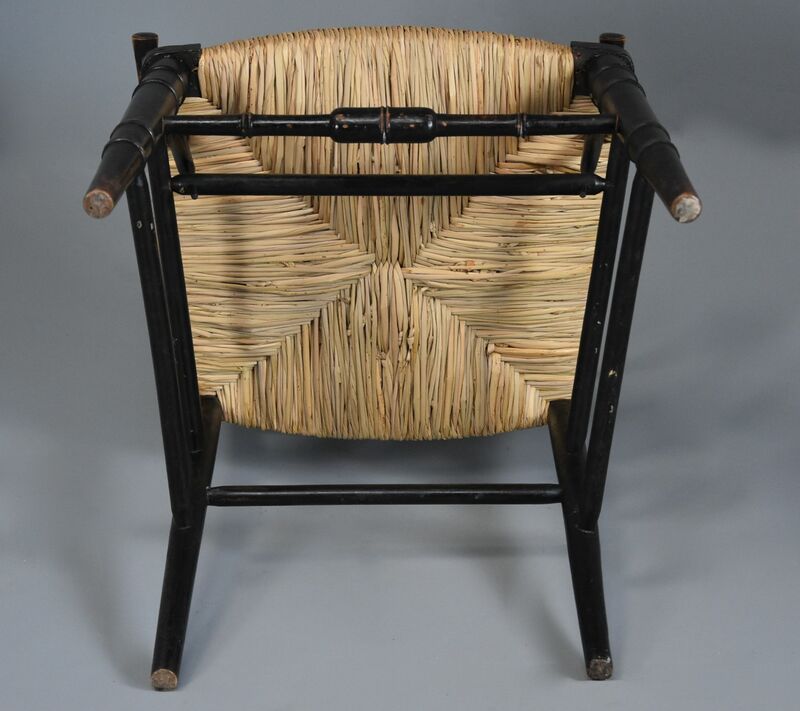 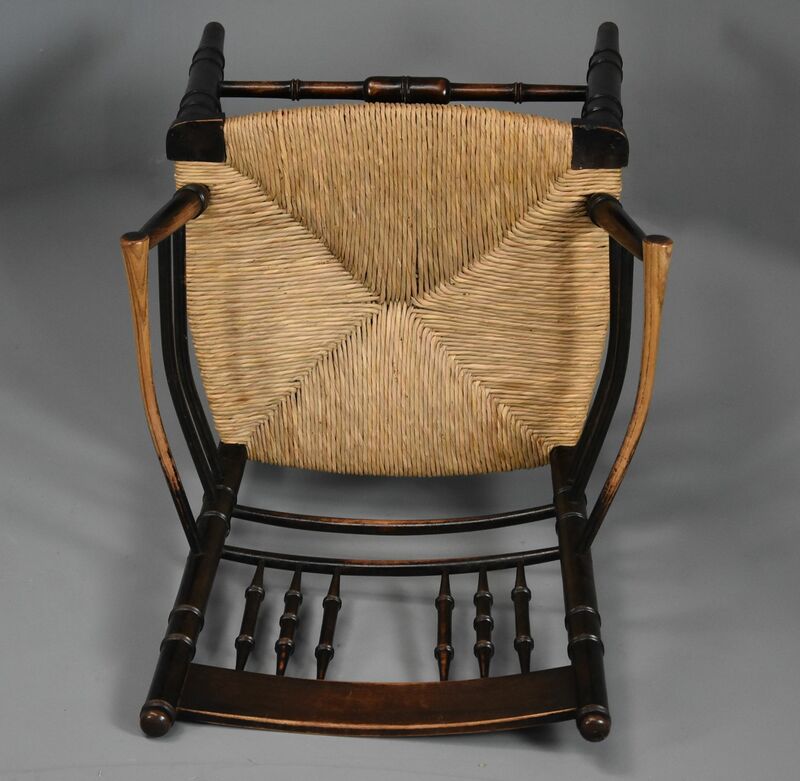 The chair is supported by turned tapered legs to the front with a turned stretcher and outswept legs to the back joined with circular stretchers. 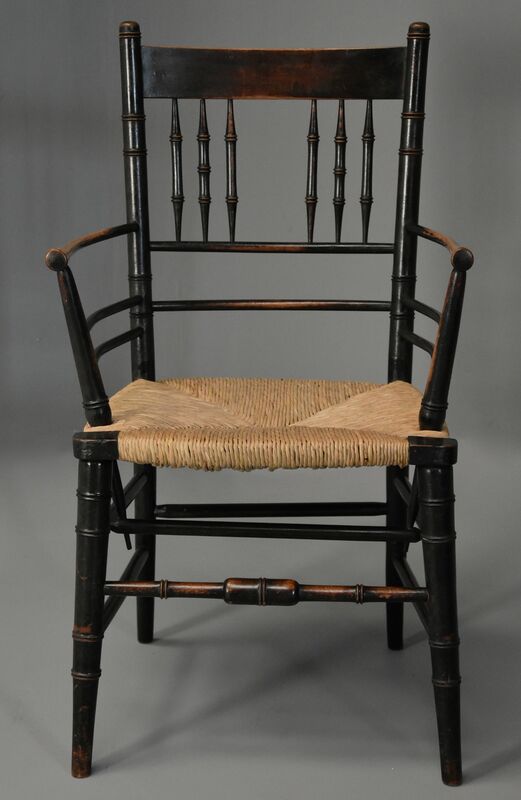 The Sussex chair, originally designed by Phillip Webb, was introduced by Morris & Co (William Morris) around 1864 remaining popular for many years and was still being produced, it still featured in their catalogue of 1911. 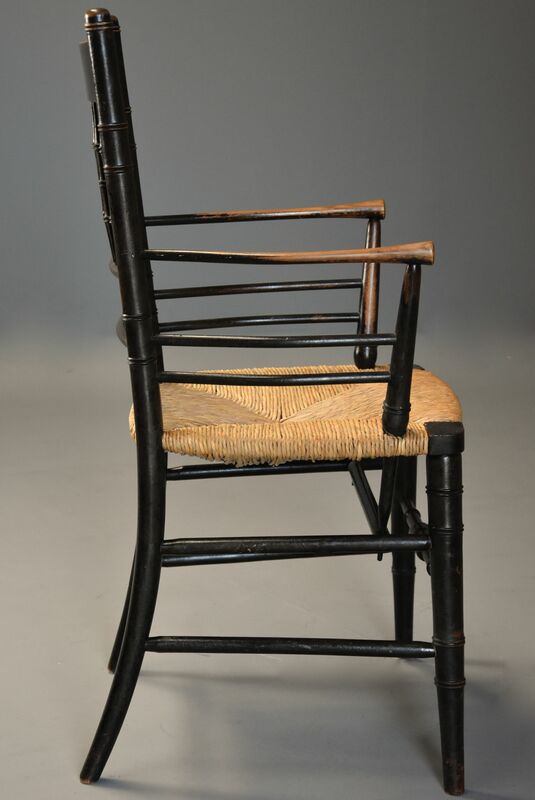 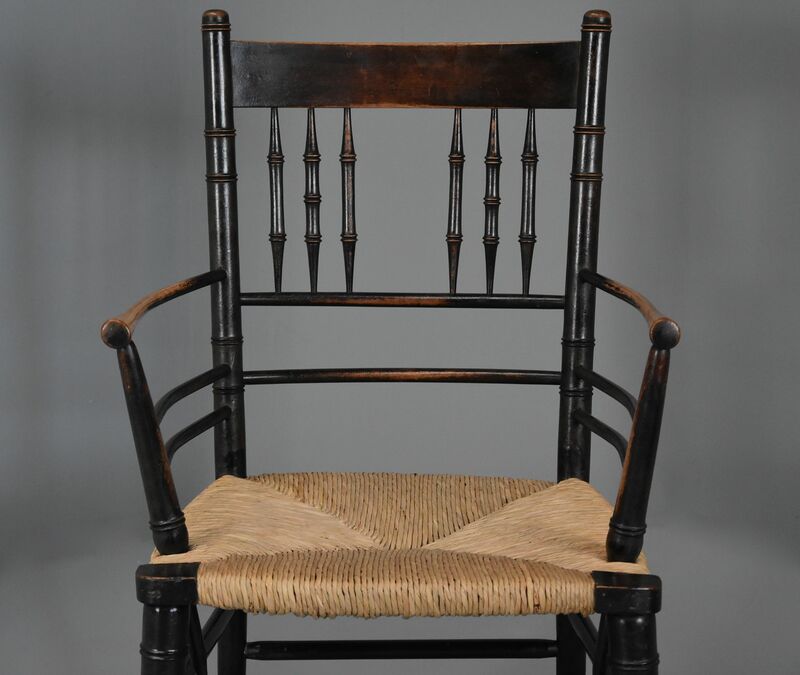 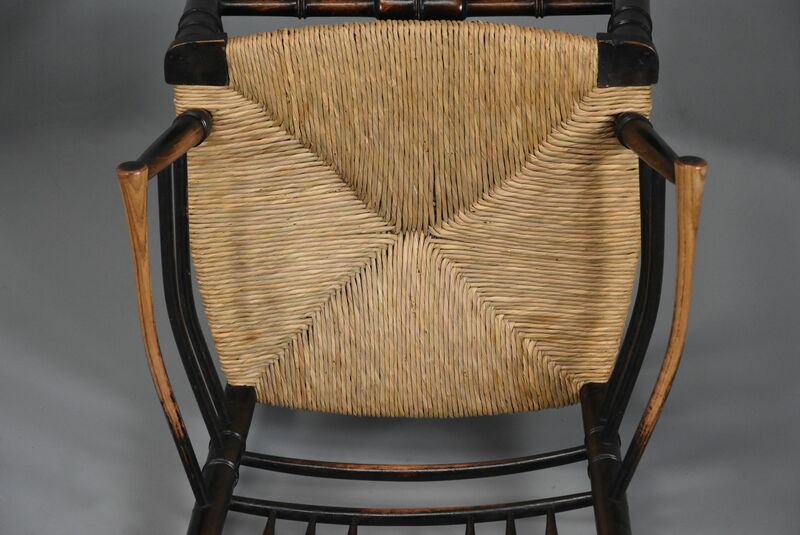 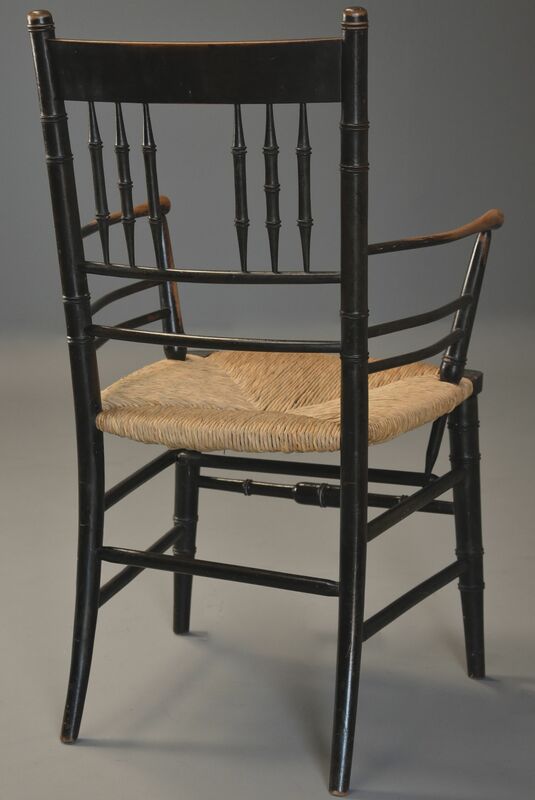 The Sussex chair was based on a similar design country chair found in the county of Sussex, it brought a refreshing style to furniture as it was of simple structure, mainly made from beech and often stained in black or 'ebonised' with a rush seat and ideal for the smaller property. 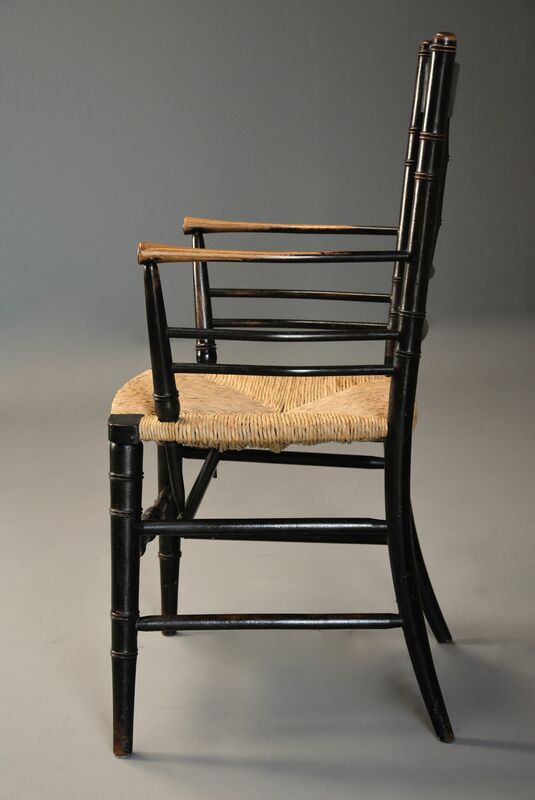 William Morris used the Sussex chairs in his own houses as did his great friend, the artist Edward Burne-Jones. 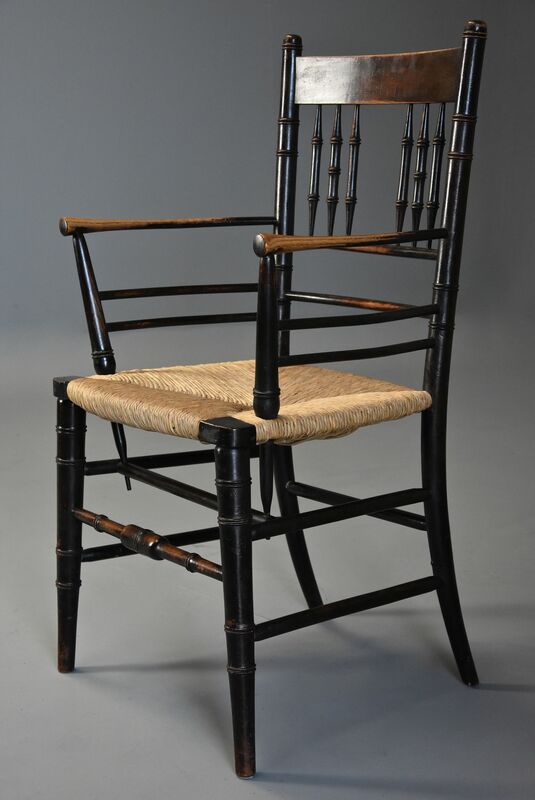 The Sussex chair also influenced other top designers of the time such as Liberty & Heals who produced their own versions such as the 'Argyll' range at Liberty & Co.